Head coach Gordon Shepherd heaped praise on Scotland's women's hockey team after their 4-0 win over India. 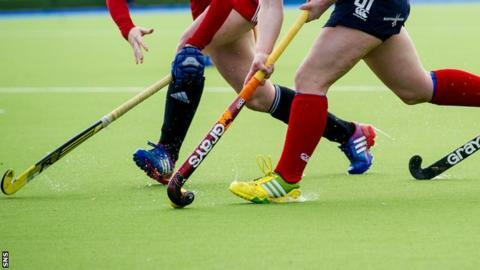 The Scots were beaten 2-1 by Belgium in their opening match of the Women's FIH Champions Challenge at the Glasgow National Hockey Centre. But they bounced back on Monday thanks to goals from from Nikki Kidd, Emily Maguire, Vikki Bunce and Becky Ward. "We got the result with one of the best performances this Scotland team has produced for years," said Shepherd. "We played great hockey for the entire 70 minutes, from back to front. I'm lost for words to describe how good that performance was. "It was a total team effort, everyone played their part in the win." Scotland's next match is against Korea on Wednesday.